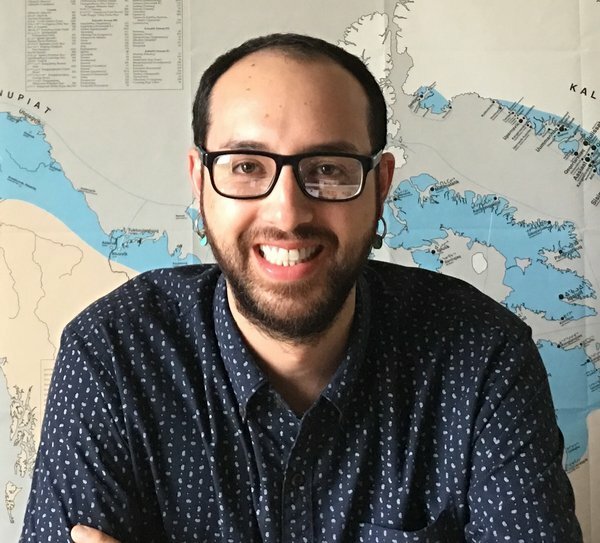 Samuel Villarreal Catanach comes to SAR and the Internship Program at the IARC from the Science in American Indian Studies – Indigenous Rights and Social Justice graduate program at Arizona State University. While at ASU he was also an Academic Mentor at the Center for Education, School of Social Transformation. Prior to graduate school, Villarreal Catanach worked in his community at the Pueblo of Pojoaque in various capacities related to the preservation of his culture, language and history. His work experience at the pueblo included systems analysis, grant program managing, historical archiving, and creating the first Pueblo of Pojoaque history and culture website. Working with the collection at IARC and with the help and guidance of a fluent Tewa speaker, Villarreal Catanach expects to facilitate a consistent language component to the class offerings at the Poeh Cultural Center and Museum at Pojoaque Pueblo. During his tenure at SAR, Villarreal Catanach will spend half his time working on collections/registration projects and the other half working on academic/programming projects. He will be in residence at SAR from 2017 September 1, 2017 – May 31, 2018. Photo courtesy of Samuel Villarreal Catanach. Brenna Two Bears is Bitter Water clan, born for the Warrior clan. Her maternal grandfather is Red Running Through the Water clan, and paternal grandfather is Standing Rock Lakota Sioux. She is from Flagstaff, AZ but was born and raised in the Ho-Chunk Nation in Wisconsin and went to high school in Indiana. Fascinated by tribal museums, but disappointed as well, with natural history museums fumbling to include a Native portion to their Western narrative, Two Bears chose specifically to study at Whitman College, focusing most of her work on their colonialist history, and the physical historical memories that go along with that. Her last project at the college, spring 2017, was a presentation at the college’s undergraduate conference, accompanying an exhibit she prepared on the Maxey Museum’s role in the college’s current efforts to build relationships with the Confederated Tribes of the Umatilla Reservation. She comments, “Through my work with the Maxey Museum, I learned the uttermost importance of not just culturally sensitive, but culturally competent curation and conservation.” Working closely with the college’s NAGPRA consultant, Two Bears has also been assisting in the resolution of several ongoing claims. 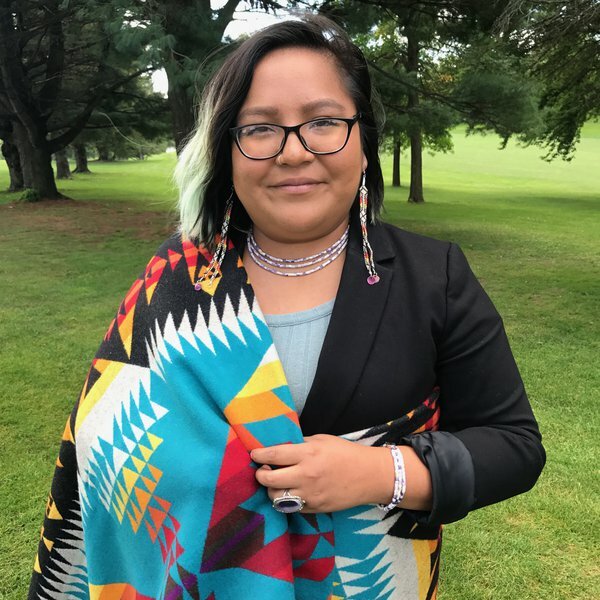 While working with the IARC staff, Two Bears expects her hands-on approach to Native history and representation will bring her closer to her life goal, to build a Ho-Chunk Nation tribal museum, while uplifting future generations of Native artists along the way. During her tenure at SAR, Two Bears will spend half of her time working on collections/registration projects and the other half working on academic/programming projects. She will be in residence at SAR from September 1, 2017-May 31, 2018. Brenna Two Bears, Anne Ray Intern, 2017-2018. Photo courtesy Brenna Two Bears.